Since becoming a DJ in Tokyo, Japan, Knock has gained experience as both a producer and a performer as resident DJ for several parties including BLAFMA. 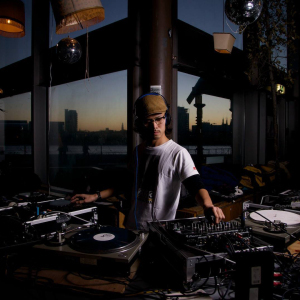 Moving in to London in 2011, Knock soon started a new party called “VAST”, becoming both organiser and resident DJ. VAST have hosted over 30 parties within a year, all based around East London, which then soon took roots within the local scene. Knock has also performed all around Europe, including playing at We Love at Space in Ibiza, Amsterdam Dance Event and the legendary Berlin club Tresor. As a producer, Knock is a member of next generation group “The Mad Hatter”, winning an audition to play at Japan’s biggest in-door festival “WIRE11″, and going on to play an amazing live set. With regards to Knock’s own productions one of his tracks plays every week on Japan’s music TV program “JAPAN COUNTDOWN” which is sponsored by “Rockin` on”, the music publishing company in Japan. With out a doubt Knock is gaining an immense praise for his own productions as well as his performances.